This guide is written for both the supplier and the customer, and it is hoped that it will enable customers to understand their requirements, so that the supplier can fulfil them. Suppliers are not charged for this guide, so no extra cost has to be passed on to the customer. 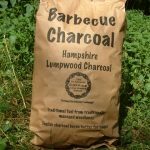 Members of Hampshire Coppice Craftsmen’s Group (HCCG) who are following this Good Practise Guide may not be offering certified firewood, although it will be from well managed woodland and be good firewood. It will have the added advantage of helping to manage local woodland and giving a job to a local coppice worker. Members of HCCG prepare their firewood in different ways ranging from cutting to length with a chainsaw and splitting with an axe, to cutting and splitting using a firewood processor. For this reason, it is difficult to be precise in some specification areas. At certain times of the year, suppliers may have difficulty in meeting your requirements. Customers should be told what is available and how it differs from their needs so they can make a choice about whether to order. Please ask your supplier about any point which concerns you. We all want to give our customers a good service so that they come back to us again. There are various certification schemes for firewood. You should be aware that anyone certified under one of these schemes is paying the certification body a fixed fee and often extra per tonne or cu m of firewood sold as well. This will have to be passed on to the customer. Small local producers may be selling excellent firewood, but may not be able to afford certification without charging an uncompetitive price. You should also be aware that all felling carried out in this country is overseen by the Forestry Commission who require management standards almost as high as FSC. There are a few other requirements for FSC, but most of these are traceability and documentation. Few small landowners and many larger ones cannot afford, or do not chose to have their land certified under FSC although it is very well managed. If the firewood is cut on a processer there should be none longer than the maximum length.If a chainsaw is used there may be a few longer, but this should be minimal. Some may be shorter. Most pieces should be around your preferred length, but to maximise wood use there may be some shorter and a few pieces longer. Particularly if you have a very small fire, make sure your supplier is aware of the maximum length you can take. The majority of the wood should be a minimum of 3” in diameter, or across the split faces. If you require wood thinner or thicker than this, please tell your firewood supplier on ordering as this can usually be accommodated. Most people will prefer a range of diameters centred on 3-4” diameter to get the fire going and then to keep it in for longer periods. You may be offered thinner wood at certain times of year when supplies are running short. All wood supplied will be British or forestry species hardwood unless otherwise stated, and only those known to be suitable for firewood. Some suppliers may be able to increase the proportion of certain species in a load, but it will usually depend upon what they are cutting at the time. If arboricultural waste is included, this should be stated, and the species used only those known to be suitable for firewood. For closed stoves, softwood loads or partial softwood loads can be supplied if agreed with the customer on ordering. It should be noted that trees do not grow tall and thin with no side branches. Some forks, stubs, curved wood and other imperfections will be found among the firewood. If a load is wanted for decoration rather than use, please ask your supplier who can probably help, but may charge a premium for this. There may be some decay in firewood as certain timbers may rot from the inside, or have rotted inclusions. The amount in a load should be minimal. The firewood should be seasoned, unless it is specifically sold as green or partly seasoned. If you are buying in the summer for winter use, or buying one year ahead, you may wish to buy green or partly seasoned wood, but you should always be informed if it is not seasoned. You may also be offered unseasoned ash during the winter. This has a low moisture content and is suitable for most fires and stoves, but this should be made plain by the supplier when accepting the order or before delivery. Very few of our members have the facilities to store potential firewood under cover from felling to final delivery. Please note that particularly in wet weather firewood may be delivered that is water wet. This is not the same thing as unseasoned. While the vendor should do their best to keep the firewood dry, please note that if it is delivered wet, it may need a few days to dry sufficiently for use. Once the firewood is delivered, it should be stacked under cover, a minimum is a tarpaulin or similar over the top of the stack with at least one side left open for ventilation. Members may have different load sizes depending upon the truck/trailer in which the firewood is delivered. The customer should be told the approximate capacity of the truck/trailer when ordering. This will allow comparison of the cost per cu m (vehicle capacity) of the load. Most vendors will tumble the load into the vehicle, so the volume of the wood supplied will be less than the volume of the vehicle. It is difficult to calculate the exact volume which a vehicle will take as it will depend upon the length and diameter of the wood as well as the exact shape of the vehicle. Firewood will only be sold by weight if it has been weighed and the moisture content must be stated.